Offering you a complete choice of products which include textile box trolley wheel and high temperature wheels. 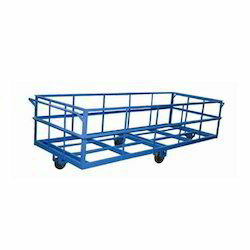 Being the leaders in the industry, we offer Textile Box Trolley Wheel to our clients. They are available in different sizes .Their weight ranges from 85 kilograms to 1850 kilograms and are presented at the best rates in the industry. Additionally, they can be used in in-house Textile and other industrial applications.